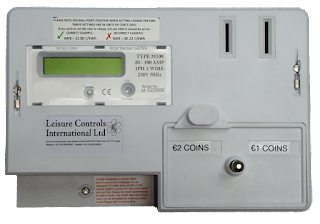 Pauline Davis, LCI’s Sales Manager, recently reported a big increase in the number of orders and enquiries for coin and token operated timers and also card operated timers with the facility to operate in a pulse mode where the timer can be set to run within the range of 250 milliseconds to 2 seconds. These timers are predominantly used with equipment which has been pre-set to receive a brief electrical impulse to start operating for a pre-programmed time. Enquiries have been received from operators requiring pulse timers for a wide range of equipment including water pumps, sunbeds, door locks, waste disposal units, etc. 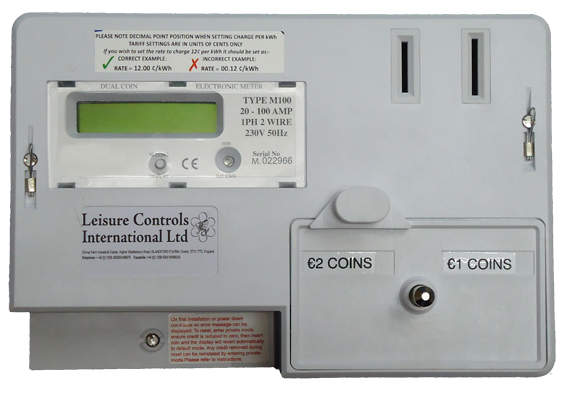 Pauline further commented that coin and token operated timer LT 3700 was most suitable for use on equipment requiring a pulse of between 250 and 750 milliseconds whilst a requirement for a slightly longer pulse on, for example, a door lock is more suited to an LT or ET coin, token and card operated timer. For those operators wanting a metal timer, the Wyvern coin and token operated timer range is also available where a slightly longer pulse is required. As a result of requests received from various customers LCI is currently investing heavily in the development of wireless technology for use with their range of Timers. Chris Yard, LCI’s Technical Manager, commented that a lot of interest is being shown in this development project as customers realise that wireless timers can be installed discreetly with no expensive wiring required. Chris further explained that wireless timers would be particularly helpful in a domestic environment, possibly controlling TV, washing machines or heating, where the discreet positioning of a timer with no unsightly wiring is of the utmost importance to the meter user. Further information on LCI’s wireless timers can be obtained from Chris Yard on e-mail: technical@lci.gb.com or telephone: 01258 483574. In order to provide customers with an even greater product choice, LCI is pleased to announce the addition of the electronic M100 dual coin electricity meter to its extensive Meter and Timer ranges. The M100 is particularly suitable for use on Caravan and Camping Sites and will prove a valuable addition to LCI’s existing range of energy saving products designed for use in this area. In addition, a Euro version of the coin operated M100 is available with orders already having been received to allow charging for heating and air conditioning.